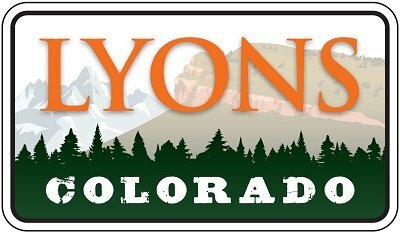 On Tuesday, April 5, 2016 between 7:00 a.m. and 7:00 p.m., a Regular Election/Mail Ballot will be held at Lyons Town Hall. Ballots will be mailed to all registered electors between March 14 – March 18, 2016. Ballots must be returned by 7:00 pm on Election Day, April 5, 2016. Sample ballots are available at Town Hall, or at www.towoflyons.com. Evans Street west of 5th Avenue will be closed the evening of Tuesday, March 1, through Wednesday, March 2, while crews continue to work on the waterlines, as part of the Confluence Area Capital Improvements Project. Please refrain from pedestrian activity near active construction zones and newly seeded and mulched areas, until further notice. The vacant lots should not be walked or driven upon as they are being restored. Throughout Friday, Feb. 26, crews will be closing lanes near the US-36/McConnell intersection, as they work on the traffic signal. Drivers can expect only one lane to be closed at a time. Please remember to drive safely through the working zones. Fines are doubled for traffic violations through these areas. • The deceleration lane (right turn) lane from US-36 westbound onto Stone Canyon Drive. Boulder County residents may be eligible for remaining CDBG-DR funds, to apply toward home repairs and rental assistance, as a result of the 2013 flood. Boulder County Parks & Open Space and the Boulder County Sheriff’s Office Wildland Fire Management Program have postponed the Wapiti 2 prescribed burn at Heil Valley Ranch because of adverse weather conditions. The prescribed burn is now scheduled to take place between March 13 and 26. The exact burn dates will be dependent on weather conditions. Heil Valley Ranch will be closed completely during active ignition days. Specific areas will reopen as soon as it’s deemed safe to do so by fire personnel. Let’s get together and exercise for fitness and fun. Lori LeGault will be leading a 1 hour and 15 minute total body workout every Wednesday from 10:15 AM-11:30 AM. Starting and ending at the Walt Self Senior Building we will do a 30 minute brisk walk on our back roads, then upon arrival back at Walt Self we will do 30 minutes of strength training using tubing. We will end with 15 minutes of balance and flexibility. You are allowed to join in/or duck out of a section of the class. For example, if you only want to do the strength part, you can join us at 11:15 to finish the class, or if you only want to walk with us, then you can join that part. Please dress appropriately for exercise with layers and bring a water bottle. Call 303-823-8250 for any questions.